Experience the historical city of Gent from the heart of the city, with The St-Baafs cathedral and St-Baafs square at your doorstep. The hotel offers modern rooms with free WIFI. Guests recommend our hotel for the excellent location. 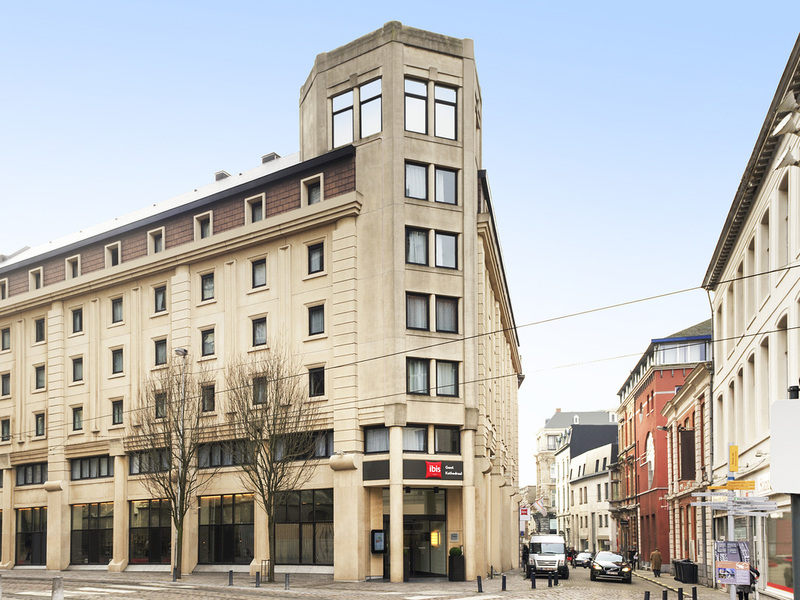 You will immediately feel at home at ibis Gent Centrum Kathedraal. The hotel is located in the heart of Ghent's city centre and is easily accessed by public transport. Opposite of the hotel you'll find the St. Bavo's cathedral which houses the famous Van Eyck brother' "Lamb of God". Also the Belfry Tower and city hall are within walking distance. All rooms are equipped with the new comfortable ibis beds and free WiFi. Our bar was recently renovated to make sure you can enjoy a drink in style. The hotel is easy to reach by public transport. There are several tram- and bus stations surrounding the hotel and Ghent's train station is just 20 minutes away on foot. Snack bar open 24/7 offering views of the Place du Beffroi and cathedral. A large selection of beers and Belgian specialties are served, as well as local products. Free Internet access.